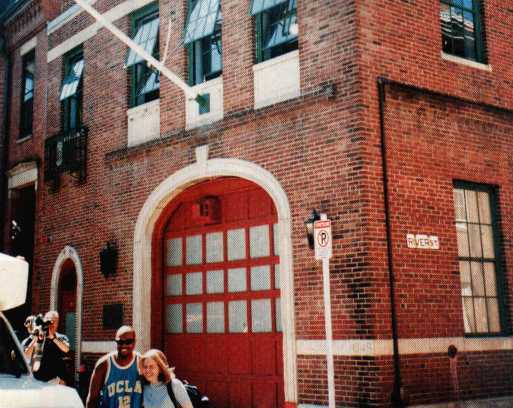 The Southeast Corner of the Boston Firehouse after the Firehouse had been returned to its original condition. In comparison with the picture above, the Southeast Corner during the filming of the series. 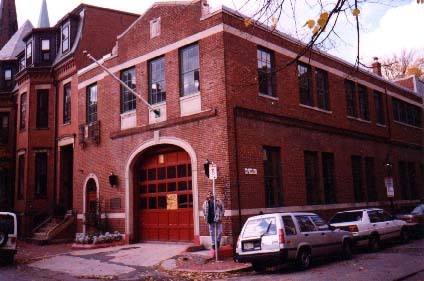 The 1st floor windows were frosted to prevent anyone from seeing the interior of the Firehouse. The River Street sign on the Firehouse has been removed.